The recent wave of globalization has made the global corporations to take advantage of the international tax differences and suitably shift their profits from low tax to high tax jurisdictions. In this paper, we consider a simple world with two countries with different market sizes and n multinationals having a branch in each country. For simplicity, we have considered that both the countries impose a source-based tax on profit of the multinational firms. Moreover, these firms function in a Cournot framework with tax competition between the countries and shift their profit depending on the extent of tax differential. But profit shifting is costly as there is a chance of getting caught. In this backdrop, we propose a simple theoretical model which puts emphasis on the role of concealment of true profits in a framework of tax competition. It is shown that given the similar administrative efficiency across the countries, a higher probability of non-detection indicates that more profits will be declared in the lower tax country. Also, a fall in non-detection probability will reduce the tax revenue but there is a possibility that it might raise the overall revenue collections of the government. So, the focus should not only be on tax revenue per se but on other forms of revenue collections also. Keywords: Global Corporations, Concealment costs, Profit shifting, Tax Competition. JEL Classification: H26, H73, H77, H87. Cite as: Mukherjee, S. (2018). Cross Country Tax Competition and its Impact on Multinational Corporations – a Theoretical Re-examination. 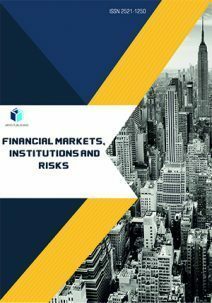 Financial Markets, Institutions and Risks, 2(1), 97-104.